Home > David A. Lawrence, Ph.D.
Our research addresses the biochemical and molecular analysis of the human and murine immune systems with specific emphasis on the mechanisms by which chemicals and drugs alter the structure/function of the developing and aging immune system and the mechanisms by which the immune and nervous systems bidirectionally regulate each other. The balance between cell-mediated and humoral (antibody-mediated) immune responses is studied with emphasis on the T cell and antigen-presenting cell subsets. 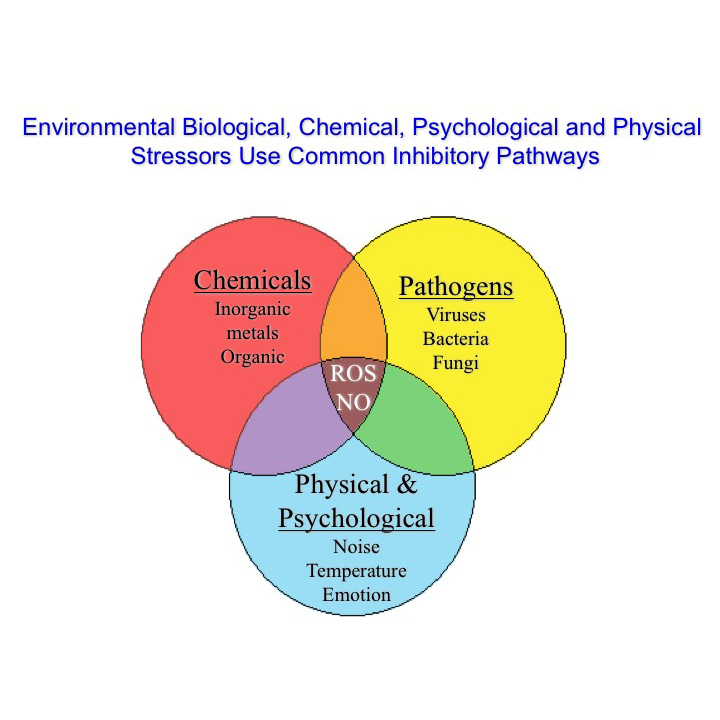 The mechanistic influences of oxidative stress from environmental toxicants and pathogens on endocrine, immune, and nervous system responsiveness is investigated. 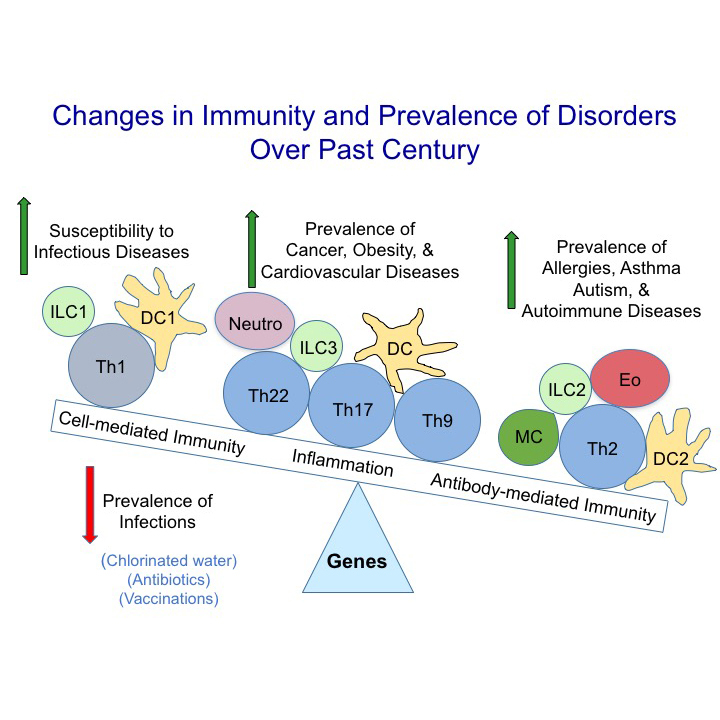 Modulations of immune responses by exogenous (environmental and dietary factors) and endogenous (hormonal and neural factors) regulators that can increase or decrease the incidence of infectious diseases, cancers and autoimmune diseases are being investigated along with neuroimmune disorders such as autism. 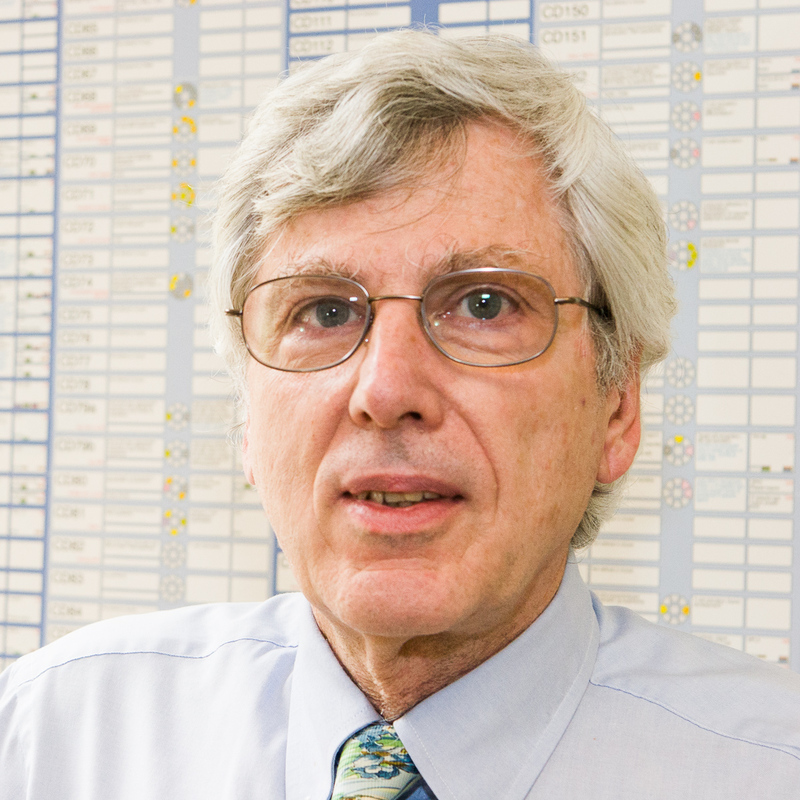 An understanding of interorgan as well as lymphoid subset molecular communications is integral to unraveling the means by which immunity controls homeostasis and health. 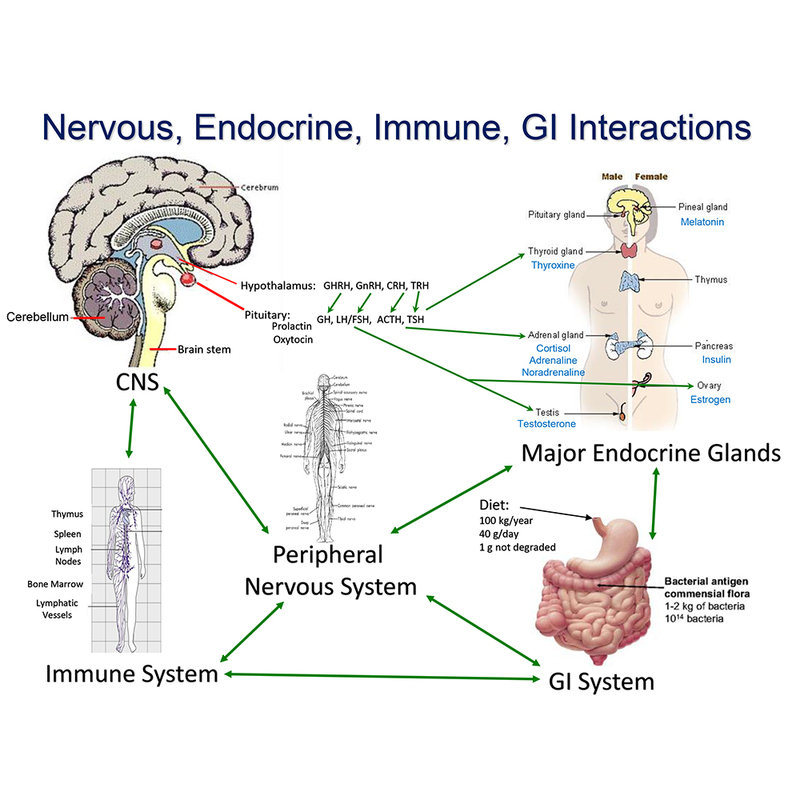 Our in vivo and in vitro models are designed to determine the mechanisms of the neuroendocrine immune network. Modifications during the highly susceptible perinatal period increase the prevalence of neuroimmune pathologies. 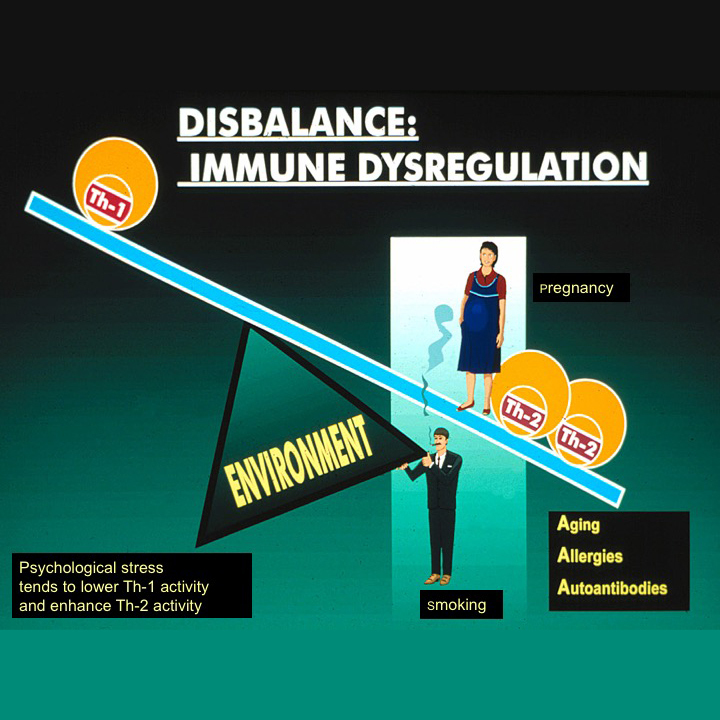 Environmental stressors, including infections, induce biomarkers that modify immunity as well as behavior and our research aims to determine the responsible biomarkers and their mechanisms of action.